I would like to recommend PPSS Stab Resistant Vests to all County Court Bailiffs and High Court Enforcement Officers due to the exceptional levels of protection from edged weapons, hypodermic needles, but more importantly from blunt force trauma. We strongly recommend this product line in our academy and have no hesitation in recommending it to any professional in need of low profile, yet highly effective, covert body armor. We are available to any party for further clarification regarding our experiences of this product. I recently had the pleasure of acquainting myself with Robert Kaiser of UK based PPSS Group. My experience and positive rapport has enabled our relationship to develop from a professional acquaintance to a well-respected professional affiliation. It is my sincere pleasure to be able to provide future customers and associates of PPSS Group with my unreserved recommendation. I believe I speak for all my employees, when I say that we have been very satisfied with the products and service delivered from PPSS Group. PPSS provide a bespoke service at a very competitive price, they were very engaging and listened to our needs, even designing the cover to include 'Guard tour' pipe pocket, body worn video bracket, extra zipped pockets for gloves and extra radio loops. Red Onion State Prison has currently used the PPSS product at our facility for the past year. We highly recommend their product in any correctional setting. 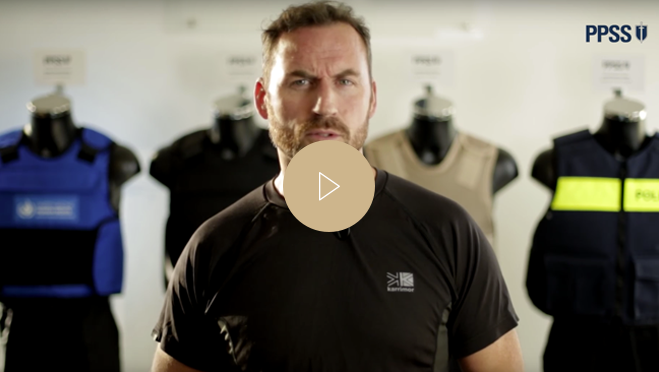 The Security department have worked alongside PPSS to ensure our teams are equipped with body armour that is both attractive and suitable for all our Officers. PPSS have been great partners in helping to deliver the right products, on time and to the required standard.